Check out all the news on Facebook (see below), follow the band on the "Latest" page of this website, or see where to find us at all our engagements by going to "Where to see us". Like us on Facebook for more information, photos and comments! The band has always been keen to provide enjoyment for all its members and we are especially proud of our junior band, which takes youngsters with no previous experience and slowly integrates them into the training band..... then hopefully, into the senior band. We also enjoy plenty of outings and social events. During 2017 we played and collected £1,082.00; since 2002 we have raised a fantastic £13,615.00! Not bad for a small village band! Thank you to everyone who has supported us over the years and contributed so much to our fundraising efforts. 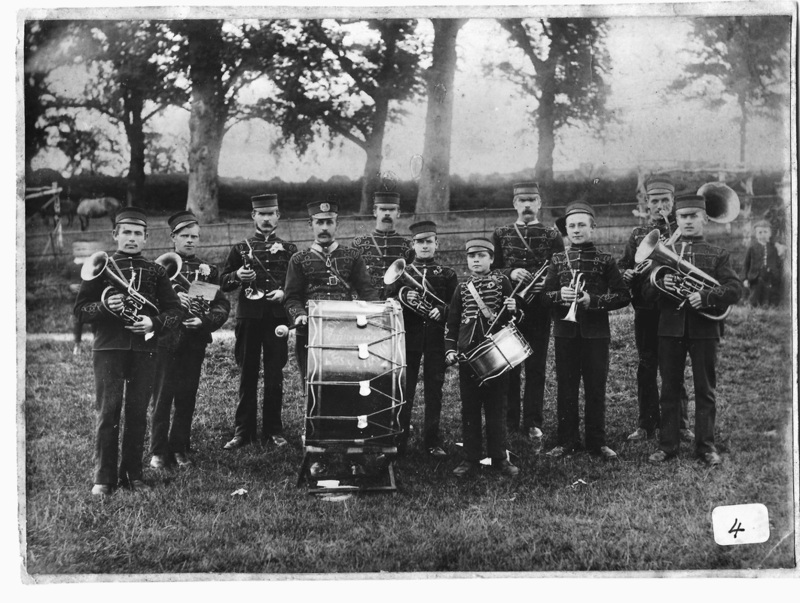 The Band was formed in 1882 in the hamlet of Roke as a Temperance Bugle band and has maintained an unbroken tradition ever since. Our purpose built Band Room, (shown here) on the site of the original 1922 Band Hall, originates entirely through the efforts of Band Members and Local donations and grants. (No games of chance monies used here). Practices are held every Tuesday and Friday, with Learners classes every Tuesday. Our Band Master Mrs Natalie Wyatt and the entire membership extend a warm invitation to anyone wishing to join us, whether player or learner. Please see our "Recruiting" page for details.